Call to Order: Meeting was called to order by Tammy Bozarth at 6:30 p.m.
Minutes were approved as corrected. ($200 was approved last meeting for the Rendezvous auction, not the raffle.) Lynn made a motion to approve as corrected, and Kathy 2nd the motion, and passed unanimously. Kathy said at the state meeting the internship program will be funded again this year if units donate sufficient funds. If not fully funded the money will be returned to the units. Tammy said Chip reported we need new members and that $2 of every registration is returned to the units for education. Membership: Pat Mumford reported we have 85 members. Newsletter: Carmen Coyle would appreciate submissions. Sports Show at the fairgrounds on March 15 – 17. Tammy will work all 3 days but needs helpers. Windwolves Spring Festival is March 16 – 17. Steve and Rob will bring stock and panels. Lynn will take care of the info booth on Saturday and Patty will do it Sunday. We will not be able to hold PR/Educational events for children until we have background checks. Pat has completed an outline for policies and procedures. Officer training was held by KSU at Lynn’s. The 2019 calendar needs to be completed. 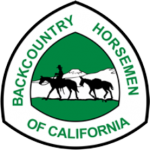 A possible trip to the Pomona Horse Expo on Nov. 9th will be explored. We need to sell raffle tickets for the Rendezvous in Norco. $500 for Bass/Cabelas, Pack saddles, and a quilt. Lynn made a motion that we donate $100 toward purchasing local wines and beer for the Rendezvous wine/beer tasting. Kathy 2nd the motion and it carried. No RV hookups at the Rendezvous. We are still selling $20 raffle tickets for a rifle. Proceeds to fund KSU. Crystal and Jeannie were nominated by Tammy to fill vacant director positions. Crystal was appointed Marketing director and will facilitate Facebook and publicity. Lynn made a motion and Pat 2nd the motion that we purchase 500 cards for under $30. It carried. Tammy passed out flyers for the Rendezvous and Spring ride for members to post at businesses and stables. Grants; AQHA Step Right Up program offers funds for a variety of activities. Kathy suggested we apply for a grant for trail maintenance or other ideas. Upcoming Meetings: The next meeting will be April 1st at Lynn’s home. Lynn made the motion to adjourn the meeting and Kathy 2nd the motion. The meeting was adjourned at 8:10 p.m.
On February 13th Measure S.47 , The National Resources Management Act, was passed in the senate with bipartisan support (92-8) The President is expected to sign it. Adds 1.3 million acres as wilderness. Withdraws 370,000 acres from mining adjacent to 2 National Parks, including Yellowstone. Authorizes a program to spend offshore drilling revenue on conservation. Adds 5 new National Monuments including the St. Francis Dam Disaster near Santa Clarita. Adds thousands of acres to Death Valley (35,292 acres) and Joshua Tree National Parks (4,518 acres) and protects 350,000 acres of public land between the Mojave National Preserve and Death Valley in exchange for 200,000 acres of off road vehicle trails in San Bernardino County. Unless otherwise specified; allows hunting, fishing and target shooting on all federal lands. Protects 620 miles of rivers in 7 states. Expands National Trail System by 2,600 miles. Permanently reauthorizes the Land and Conservation Fund. However, historically much of that money has been siphoned off to fund other programs and there is no guarantee that it won’t continue to be spent elsewhere. This has been traditionally funded every few years. 8 new BLM Wilderness Areas of 280,360 acres in California. Designated 18,000 BLM acres near Lone Pine’s Alabama Hills as the Alabama Hills National Scenic Area. 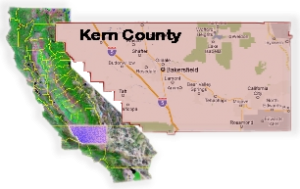 Added 81,000 acres in Imperial County for wilderness protection. Check our Events calendar for upcoming meetings.